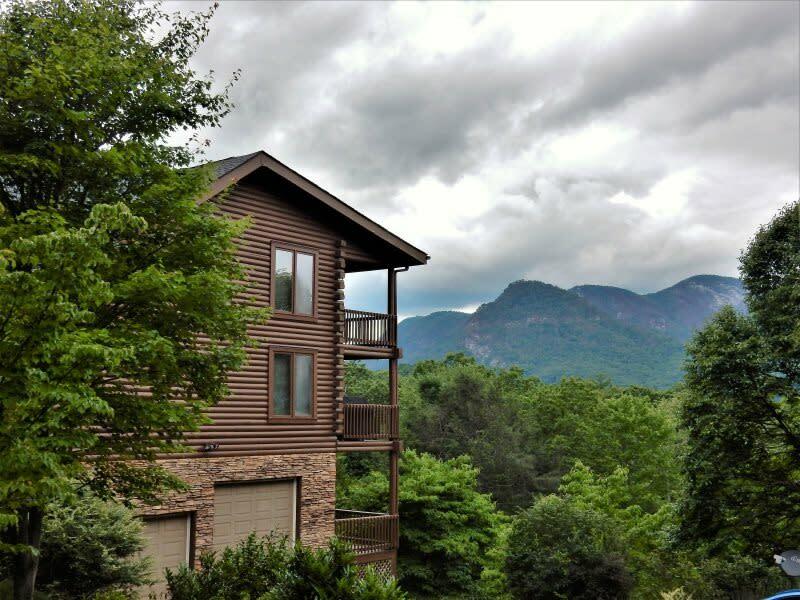 "Burbank Lodge" is stunning mountain lodge that offers the splendor reserved for magazine pictorials. This spacious home has 3-4 bedrooms, 3 full baths, 1 half bath, sleeps 8 comfortably but up to 10 are welcome, and awaiting the arrival of you and your family. The garage along with the paved drive and roads in the area make it a perfect destination for those riding motorcycles. 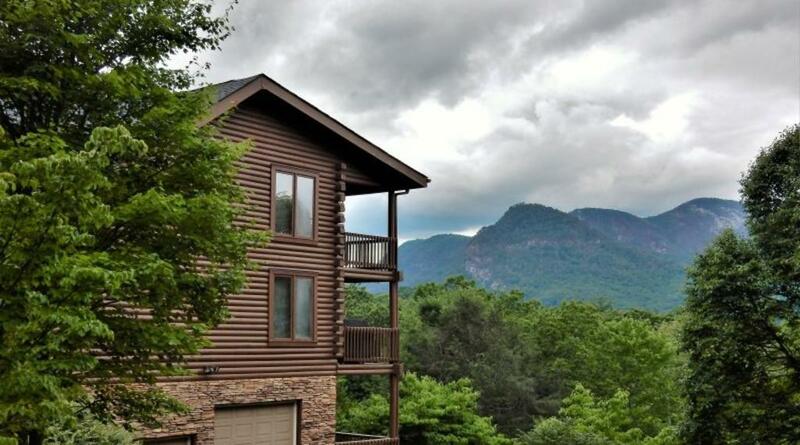 This amazing home is 2.6 miles to Chimney Rock State Park, and 1.2 miles to the Beach at Lake Lure. With its open floor plan and 3 levels of living space, it is convenient for family gatherings. The dining table seats 8. There are rockers and chairs on the back covered decks and a gas grill. In the upper level family room is a game table for puzzles, board games, checkers, or card games that seats 5. Plus, there is a two-car garage and ample parking.